Helen Brett challenged Rainmaker Advertising to come up with a plan to boost exhibitor sales. After our “Rainstorming” session, we presented the client with the idea of creating an “Exhibitor Loyalty program”. 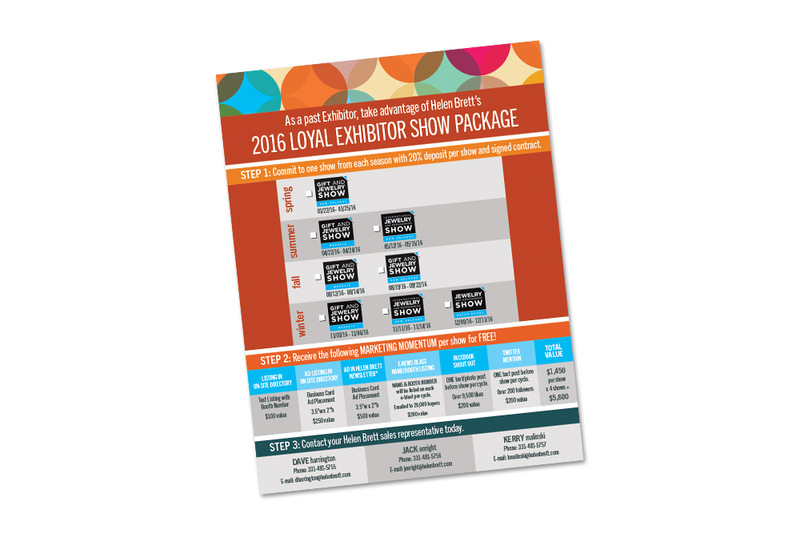 Exhibitors who committed to having a booth in advance would get over $500 in free marketing throughout the year. Another piece of the puzzle offered new exhibitors 50% off a second booth commitment. Both of these initiatives led to increased exhibitor sales in all show locations…and it led to many happy exhibitors who took advantage of the FREE marketing! 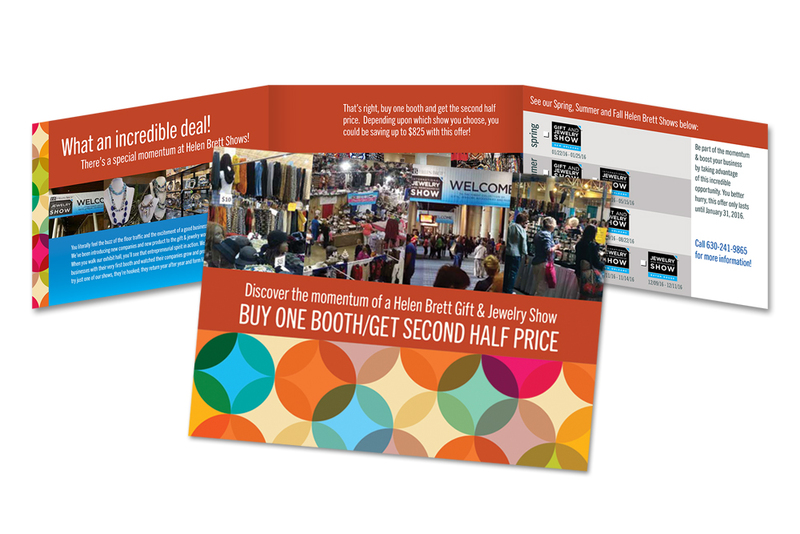 To spread word of the offers, Rainmaker designed an eye-catching direct mail trifold for new exhibitors.